Chapter 5 of Bendy and the Ink Machine is finally here! And in Bendy and the Ink Machine Chapter 5 ALL OF OUR QUESTIONS ARE ANSWERED! Well...kinda. Not really. But we can take the questions raised by Tom and Alison and Joey Drew and Bendy or rather crazed Demon Bendy to come up with a solid explanation of the entire Bendy and the Ink Machine franchise! 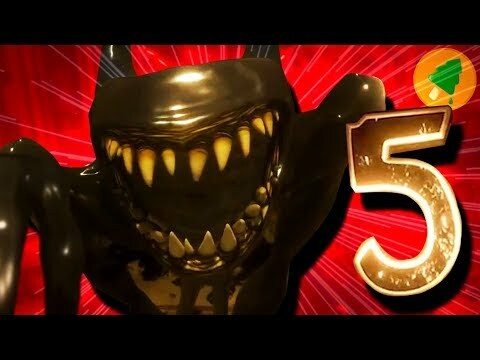 So what happens here And where does Henry play in to all of this Join your host, Grant, as he breaks down Chapter 5 and the Bendy franchise as a whole to give you Bendy and the Ink Machine Chapter 5: The Story You Never Knew.